The latest Kickstarter sensation in the Eyewear world, Shades Club a subscription for sunglasses for just $20 a month. 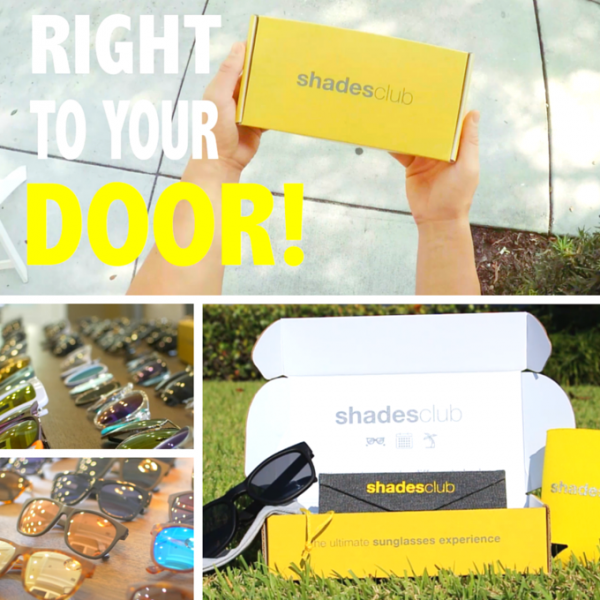 Find out more about the idea at Shades Club’s Kickstarter Campaign. We sat with Co-founder, Rich Amundson to find out what sparked the idea of Shades Club and their future plans. What sparked the idea of Shades club? Well, we love sunglasses. Having the right pair can be the difference maker in how we look, how we feel and even how we perform. Most of all, we really just want our sunglasses to go with everything we do, just like hats, shoes or handbags. But with the huge price tags, it’s been impossible to own the collection of your dreams. You lose and break them easily, and they’re a pain to purchase and replace. While traditionally, the approach to evolving sunglasses has been single-problem, single-solution. We thought, what if we started with a clean slate, from scratch, if anything were possible, how would we do it? 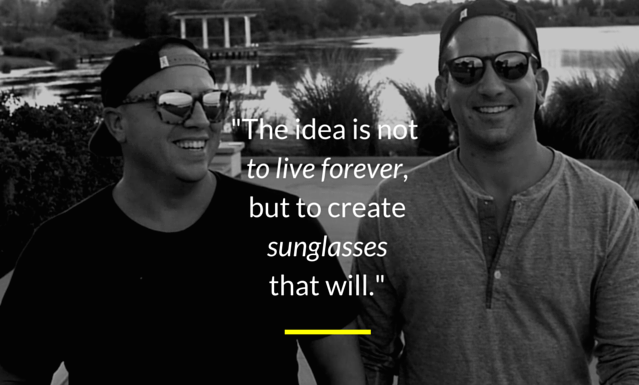 So, we took the concept to our existing customers first, launched shades club on Kickstarter, and well, the response has been incredible. We’ve built such a loyal, supportive community of sunglasses lovers, and they’re really into it. We think there are a lot of people in the world who will be into it. When will you be able to ship worldwide? Yes. Early February is marked on the timeline for when the 1st boxes will be shipped! 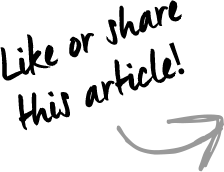 Will you be launching an e-commerce store?Absolutely. Making our sunglasses experience simple, fun and convenient for our members is super important to us. Following our Kickstarter campaign, we’ll introduce www.shadesclub.com to the world. In sending out our style guide after the campaign, we’ll be getting to know each member and what they’re into. We think people will see it as an easy, fun, smart way to discover and start building their collection. 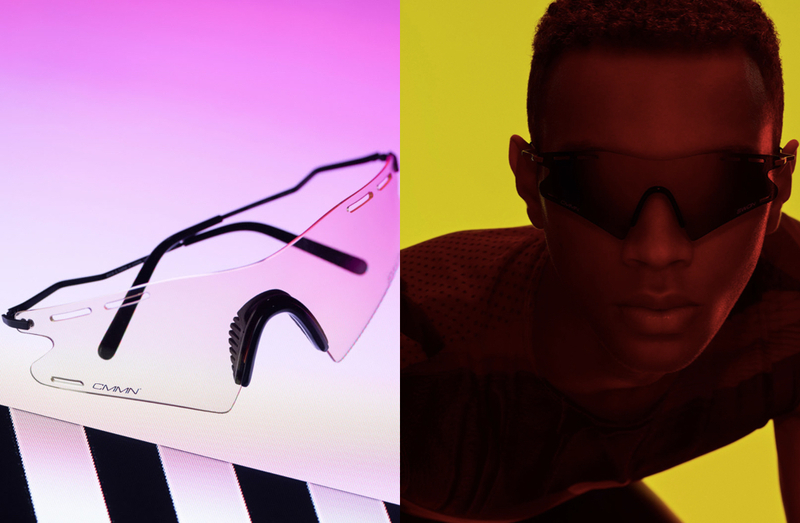 How long have you guys been designing eyewear before this started? We started in 2009, but the journey since then has felt like a jet-setting trip around the world! We were actually personally shopping for sunglasses for an upcoming vacation, and couldn’t find anything that hit all of our check marks. True quality, good weight and feel, styled with a new play on a classic design, with a price that could afford us to upgrade our seats. That was the moment before the moment, when we dove into the industry. It’s cool reflecting on things. That mindset is what helped us to create relationships with some of the world’s best factories. We like that we’re different than other things they see pass through the assembly line. And we’re equally appreciative of their help in bringing our ideas to life. What is your design process?Our design approach & philosophy has always been focused on blending comfort and style. We get our ideas from what inspires us, like the sand on an exotic beach, or accessorizing perfect outfits. You can’t top timeless, so that’s what we aim for, on each occasion. We design it all from concept to creation. We source the different lens options, frames, materials, and hinges; even the smallest details can leave the biggest impressions. We bring it all to life, and make sure it holds up to meet our customers’ needs and exciting lifestyles. How often do you design new glasses?Pretty often, we have a lot of working samples and only end up producing the best ones. When an idea comes to design, we capture inspiration right away. We either explore it or save it. There’s not a ticking clock and we only use seasonality as inspiration, not a timeline. That’s definitely a huge benefit of being based online. With Shades Club, we’ll be releasing a new pair each month, which is exciting. There’s a lot to look forward to. Could I get a breakdown of the manufacturing process and materials used?Really, it all depends. It varies quite a bit from pair to pair, as we create a range of designs. If it makes sense for our members and customers, it makes sense. We have our own bar set when it involves quality, look, feel and vibe. 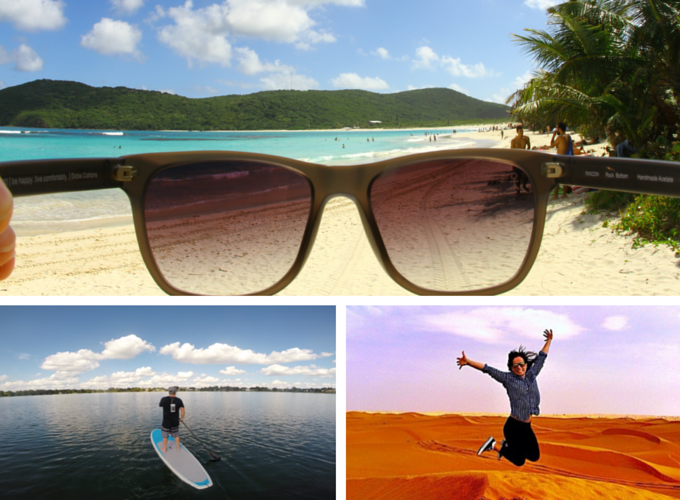 What we can tell you is that every single pair will have lenses featuring 100% UVA/UVB protection. Some lenses will be polarized, some mirrored, and some gradient. All sunglasses will be well thought out, down to every last detail, and the pricing is WAY less than retail. We cut out all the middlemen and markups, to offer the absolute lowest prices to our customers. We like finding creative solutions. 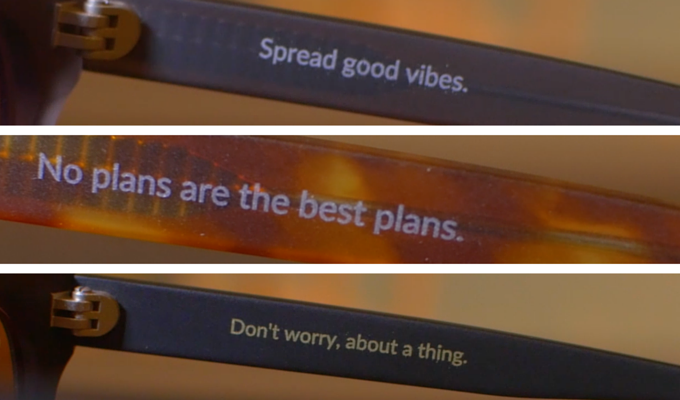 What is the story behind the quotes on each pair of shades? Most eyewear brands are pretty boring with their inside markings. We prefer to use that space to motivate you, make you think, or just make you smile, rather than just codes and numbers that don’t mean anything to the consumer. After all, you are looking at it every time you open up and put on your favorite sunglasses, so why not make it count! As you can tell, we see things differently. Why are some glasses able to float and other can’t?Some pairs in the Shades Club membership will be mostly for style. And some lean towards function. For example, some pairs will float, so you can wear those pairs when you’re on or near the water. Some pairs will be designed for dressing up, (weddings, for example) and those generally won’t need to be floatable. 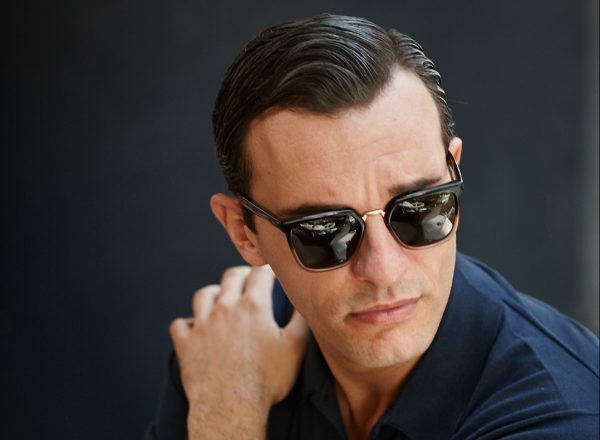 We want to help you build the ultimate sunglasses collection, and within that collection, you’ll need polarized, floatable, foldable pairs in the mix. On average, what is the durability of each eyewear? And how can buyers get them fixed? 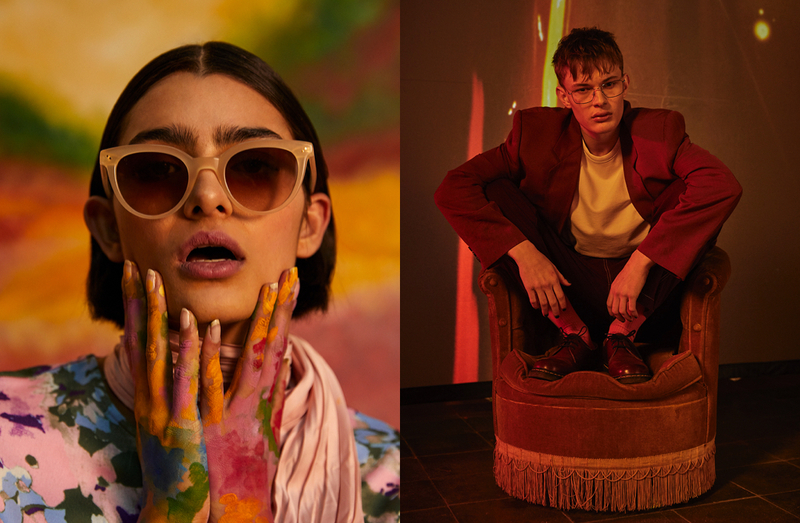 Our eyewear is made at reputable factories who also produce for some of the world’s biggest brands. Like any pair of glasses, the better you take care of them, the better they’ll take care of you. We’ve had a less than 1% return rate over the past 5 years, so our customers definitely value our product and quality of eyewear. We still have customers emailing us weekly, telling us they STILL get compliments all the time on the very first pair we released in 2010. So, for those who take care of them, they will last at least 5 years!